Ah souvenirs. We’ve all been there before. After a good jaunt overseas you’ve come back with two Eiffel Tower tshirts, five Statue of Liberty figurines, a tall Union Jack hat and three new suitcases to put them in. Despite the memories associated with them, no one is wearing Great Britain’s flag on their head (even in England) and no one really cares that you’ve been to Paris. Multiply these issues by 10 and you’ve got Disneyland. To help us navigate this minefield, Guest blogger and Mother of three, Rachael, shares her tips. Yep. An entire suitcase, bought specifically to take all of our souvenirs home. With countless souvenir stores at Disneyland, it’s easy to get carried away and end up coming home with items that are likely to never by looked at or worn again. Every area of the park and many attractions have their own themed souvenir stores (usually post ride). Disney want you to get swept up in the story; it’s part of the Magic! To save yourself some time and money, here is a list of usable souvenir suggestions, that will satisfy your need to buy, along with the ones to avoid. – Jigsaw Puzzle Artwork to work on as a family and hang once complete. – Disney Art: Disney commission artists (like Thomas Kinkade) who do beautiful work, get a scene from your favourite movie or hang a painting of the Disney Castle in your hallway. – Disney Kitchen and Dining wear such as teacups, teapots, salt and pepper shakers, pot holders, tea towels, fridge magnet clips, mickey themed utensils and cookie cutters. – Disney artists on Mainstreet can make a Silhouette picture of individuals, families or characters. If you are by yourself, ask them to put your favourite character in with you! – CD’s which the whole family can enjoy singing along to. – One light-up item for nighttime parades and shows. – One pair of ears or hat to wear at the park. Can double as a gift for younger family members or friends if the child does not wish to keep it. – A board game, puzzle, or educational toy that will accommodate a range of ages and be played again and again. If you go to the park around Halloween, Christmas or a Park Anniversary, you will not only find the park decorated accordingly but souvenirs to match. Try and limit yourself to one special occasion item, like a Christmas decoration or a nice pair of Halloween socks. While it’s nice to bring home something for everyone, this habit can get expensive quickly. If buying for family members, try to find a gift that can be a whole-family gift such as a tea towel or a fridge magnet. So that our nieces and nephews ended up with something better than a 50c pencil each, we doubled their souvenirs as Christmas/birthday presents. We also made sure that we sent a postcard from Disneyland to each of them, this is fairly cheap and it’s such a novelty to receive snail mail these days! If you are a teacher or have a large amount of children to buy for, packets of pencils/erasers are the cheapest option. You can also ask for free stickers at the front desk on your way out of the park each day. If you stay long enough you may get some for everyone! Exhibit A: Actual Purchase. Never worn again. – Plush Toys that are readily available in Australia. – Multiple souvenir photos. The reality is that you will probably only display one (if any) and the rest will sit in a draw somewhere never to be looked at again. – Autograph books. You can buy them in the park for $15 US but you’re better off bringing one from home. 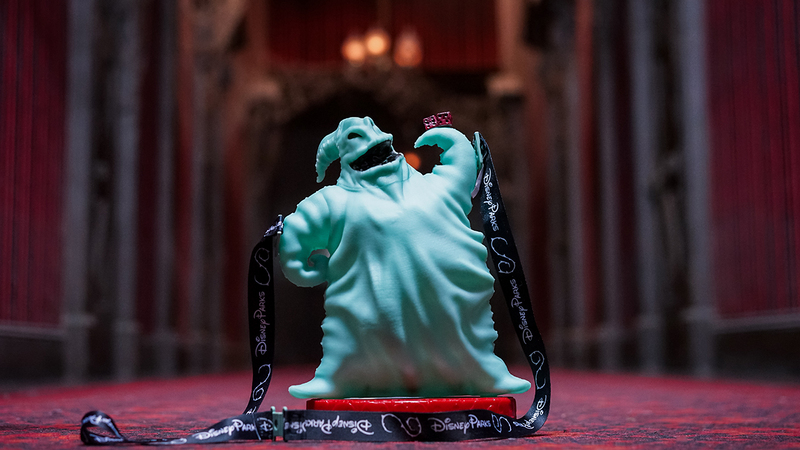 – Souvenir Drink and Food Containers: I have legitimately seen a 30 minute queue for a limited edition ghost shaped popcorn bucket, during Halloween, costing US$15. They even appeared on eBay for triple the price. Nothing wrong with a paper bag. – Balloons. Annoying to carry around, only last the day and are expensive. As much as you can, avoid buying your souvenirs in the park itself. If you are going to other places, you can find Disney Stores which are often much cheaper and have frequent sales. If you are not able to visit other stores, however, then buy your souvenirs at Downtown Disney. Their stores have the same items with the same prices, however being away from the park allows you to think more clearly and be less likely to impulse buy. To save even more money, buy a princess dress from Big W or Kmart for your daughter before coming to the park and pack it in your day bag. She may say she doesn’t want to dress up, but once she sees those gorgeous (and super expensive) costumes in the Bibbidi Bobbidi Boutique, it will be very hard to resist the begging! Similarly, if your children want to collect character autographs, bring an autograph book with you, as the ones at the park cost three times as much. Characters will also sign other items as long as you aren’t wearing it, so be creative! Bring along a permanent fabric marker and canvas bag or canvas teddybear. When you find hilarious souvenirs take a photo with them. You can look back and laugh on it but don’t end up with something utterly useless. For example a giant orange cone hat from Carsland. You can, of course, also save on ride snaps by taking photos of the photos; as above. There you have a beginners guide to Souvenirs at Disney. These rules can be applied to any of the Parks worldwide. Keep a look out for Rachael’s future post: “Pins, Collectables and Freebies” coming soon.